- 본인확인이 필요한 서비스 이용 시 비밀번호만으로 간편하고 안전한 본인인증을 할 수 있는 SKT 간편본인확인서비스입니다. 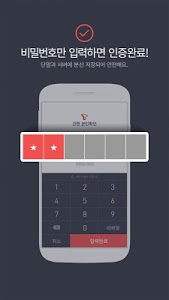 - SMS 인증문자도, 별도의 개인 정보도 입력할 필요가 없습니다. - 간편본인확인 외에도 T인증을 통해 이용할 수 있는 다양한 서비스를 제공할 예정입니다. ※ 만 14세 미만 고객은 서비스를 이용하실 수 없습니다. - T인증은 SK텔레콤에서 제공하는 무료서비스입니다. 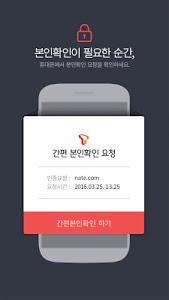 - 사용자 등록: App 설치 후 사용자 인증단계를 거쳐 T인증에서 사용하실 비밀번호를 등록하시면 서비스에 가입됩니다. - 본인 인증: T인증 Push 알림을 통해 본인확인 요청을 전달받아 비밀번호를 입력하신 후, 다시 인증 요청하신 간편본인확인창에서 [확인] 버튼만 누르시면 본인확인이 완료됩니다. ※ 필수 권한 허용 후 T 인증 서비스를 이용하실 수 있습니다. - T인증 내 메뉴의 FAQ 내용 확인 및 SK텔레콤 고객센터(114)를 통해 문의해주시기 바랍니다. - SKT is a simple identity verification service identification can be a simple and secure identity authentication only when a password is needed services. - SMS text authentication, also, there is no need to enter additional personal information. - In addition to easy identification and it will provide a variety of services available through T certified. ※ You can only sign up and use the phone in your name. ※ million customers under the age of 14 can not use the service. 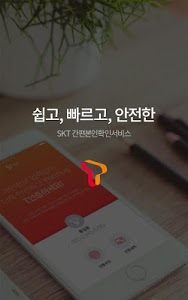 - T Certification is a free service provided by SK Telecom. 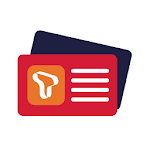 - User Registration: After you install through the App user authentication step registration password authentication is also used in T subscribed to the service. - I Certification: T after you through the certification Push Notifications receives the identification request to enter your password, make your press only OK button in the confirmation window, ease yourself back to the authentication request is complete. ※ Allow the required permissions and then you can use the T certification services. - Please contact us through the FAQ confirm the contents of the My Menu T certified and SK Telecom Customer Service (114).